The Teacher Publishing House provides high quality teaching materials for EFL teachers. It assists them in professional development, while improving the quality of EFL teaching. The Teacher organizes nationwide conferences, workshops, and testing for both teachers and business clients. 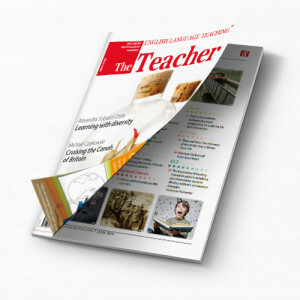 We have been publishing The Teacher, a leading magazine for EFL teachers in Poland, for 10 years now. Also, we distribute other high quality magazines for English teachers, e.g., English Teaching Professional, ESL Magazine, and Modern English Teacher. Besides Poland, we publish in many other EU countries, e.g., Great Britain, France, Germany. The articles published in our magazines range from publications on teaching theory and classroom application to essays written by world renowned ELT specialists, new teachers, mentors, and methodology specialists, all presenting the latest ELT trends. The Teacher familiarizes its readers with the culture of England and English-speaking countries, reviews new publications, and informs of workshops for EFL teachers.